Reversal of fortunes. In the days of the iconic Walkman, it was Sony who ruled over our consciousness as Japan's 3rd-largest electronics keiretsu past Hitachi and Panasonic. Later Sony's Trinitron televisions were the thing. So were Vaio laptops. Today Sony are hemorrhaging billions in annual losses. As the Wall Street Journal reported, this year's summer quarter posted a ¥136 billion loss. "Without a previously announced ¥176 billion write-down of the value of its mobile business, Sony would have posted a profit, the company said." Today Sony have divested themselves of their Vaio division and consumers are more apt to buy a Samsung than Sony TV. After they'd co-launched the SACD disc as an archival high-resolution format, Sony famously abandoned it when it failed to light the market on fire. Outside Japan perhaps, they haven't really factored in high-end hifi since, show sightings of newer flagship speakers excepted. But Sony's SACD did encounter a reversal of fortunes. When Andreas Koch, formerly of Meitner then Playback Designs, spearheaded a consortium to package DSD inside PCM files for dispatch across the well-greased USB pipeline—a flag embedded in such files tells the receiving DAC that what looks like 24/176.4 PCM is in fact DSD64—this DoP standard made inroads by finding quick support from USB module OEMs like XMOS and Amanero. Suddenly DSD was big again, this time with computer audio users. The DTR aka Ethernet input connects to the matching APL Hifi transport which outputs pure DSD from SACD as well as CD data as DSD128. With "will it do DSD" the big question for 2013/2014 DAC sales, another phenomenon occurred: DACs which convert all incoming data to DSD64 or DSD128. For those who've never entirely cottoned to digital, this looked to be a new lease on 1'n'0 life. Koch applied custom FPGA programming to clone a true 1-bit converter when off-the-shelf DSD chips disappeared with the demise of the SACD disc format. Meitner and Playback Design have played the PCM-as-DSD game for years. Since then, Nagra have commissioned Koch for a custom DSD module. That ended up in their €20'000 HD DAC. PS Audio licensed similar code from Ted Smith. It runs their flagship DirectStream deck where subsequent firmware rewrites reportedly made big sonic advances. Sony picked up on that theme with their €2'000 HAP-Z1ES. That offers on-the-fly PCM-to-DSD conversion called remastering. 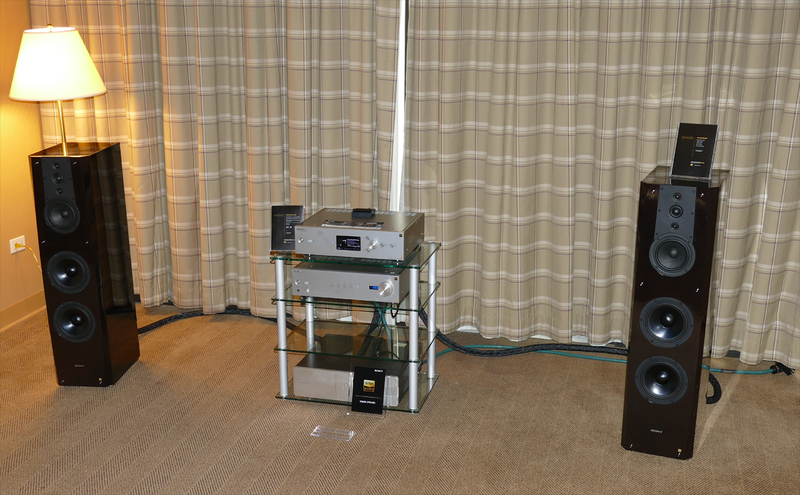 Sony system at TAVES 2014, with HAP-Z1ES on top. The latest supporter of this DSD über alles mantra (or better yet, for everything) is Alex Peychev. He is a former Sony engineer from their Broadcast & Professional Division who turned entrepreneur with his own APL Hifi brand. He'd started by rebuilding Esoteric's very best universal deck with massively paralleled hand-wired AKM converters, tube-buffered transformer-coupled output stages and more. This makeover was so significant that Esoterics' then top brass under Motoaki Ohmachi and Kazutaka Tsuda—in short, well before Esoteric's Teac parent sold off its majority shares to Onkyo and Gibson Guitars—borrowed some of its details. The direct upshot? Esoteric digital decks transitioned to multi-paralleled AKM silicon too. How modifiers can influence big companies has been shown more recently by Dan Clark of MrSpeakers™ who had Fostex return to the drawing board for their planarmagnetic headphones whilst Dan Wright of ModWright was one of those whose work on Oppo universal machines impacted their subsequent models. The Bulgarian-born Peychev had launched his company in the US. Today he lives and works again out of Bulgaria*, a country which also is home to brands like Antelope Audio, EBTB, S.I.N Audio and Thrax. No longer content to modify/rebuild other people's products, Peychev today builds his very own boxes from the ground up. Those include amplification and speakers too but it's fair to say that his core competency remains digital. 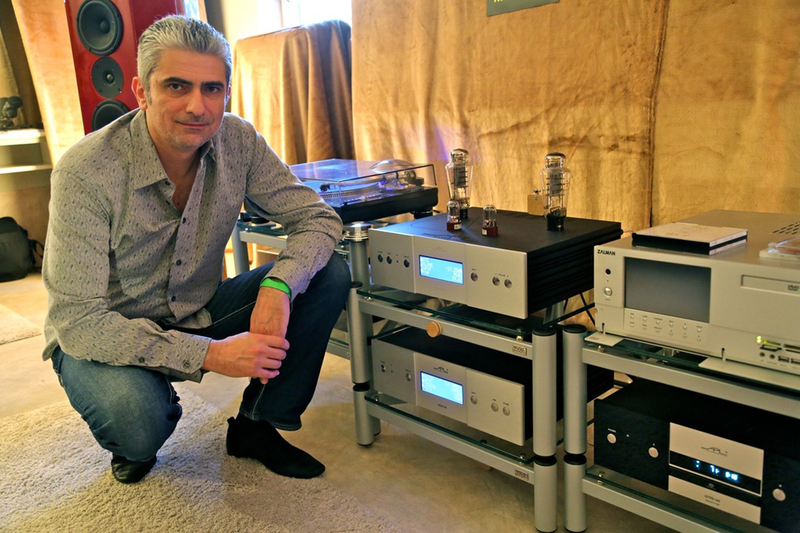 In that genre he offers four models: a CD/SACD transport and three standalone DACs. Of the latter, two fall into the everything-DSD camp. Only the entry-level box is limited to pure 32/384 PCM and one lone USB input. * Located in Ruse as the country's fifth largest city, APL Hifi sits on the right bank of the Danube river opposite the Romanian city of Giurgiu ~75km south of Bucharest and 300km from the capital of Sofia. Ruse is the country's most significant river port to serve an important part of Bulgaria's international trade. On review today is the middle model. It eschews the range-topper's valve output stage and FPGA-based converter but otherwise follows it closely. The paralleled Cirrus Logic CS4398 chips "are working in mono—two physical chips per channel are equal to eight paralleled differential DACs per channel—and in a special mode that results in much improved audio quality compared to regular use. The four CS4398 chips work in DSD only, the PCM inputs are grounded." Alex with his DHT hybrid amplifier during a Norwegian show in Norton compliments of this show report by audiofidelity.no. Called the DSD-S, it's a 32/384PCM DSD64/128 machine which up/resamples all signal to a user-selectable either standard or double DSD rate, then outputs it analog through a class A Mosfet current buffer without voltage gain but low 15Ω output impedance. The passively filtered DSD stream interfaces with the transistor buffer through custom Lundahl interstage transformers. This creates a capacitor-free zero-feedback signal path and also eliminates all opamps from the analog section. A hybrid attenuator without mechanical parts but 0.5dB steps combines analog and digital attenuation for claimed zero loss** to encourage direct amp connection. The user interface is an FMJ remote wand, white-on-blue LCD display and microprocessor control which memorizes the last settings including volume for each of the 2 x coax, 1 x AES/EBU, 1 x Toslink and 1 x XMOS-based USB2.0 inputs. Even Toslink is good for 24/192 whilst USB is the only input to exceed it. Analog outputs are exclusively on WBT RCA and offer an industry standard 2Vrms max voltage. In a nod at exotic tweakdom, a 1A special gold fuse from AMR is installed for the mains power. All of this is contained in a box measuring 435 x 80 x 280mm WxHxD, with a slightly wider 450mm face plate and 8.5kg of weight. For a bit more Illumi-Fi geek talk, there's a "very unique digital slow-roll-off filter designed for 44.1kHz files that possesses the audio qualities of non-oversampling DACs without the negative effects of HF extension loss. As you know, without a digital filter or complicated analog reconstruction filter, even 10kHz looks bad already because there aren't enough samples at higher audio frequencies with 44.1kHz sample rates. The DSD converter/modulator uses a 7th-order function. The DTR input on the back of the DSD-S is intended for another digital transport more in line with its price tag since our reference DTR-M transport is more expensive than the DSD-S and intended to work only with the reference DSD-M DAC. The heart of the DTR-M is a transport and DSP board from a Pioneer PD-50 CD/SACD player which are highly upgraded and re-engineered. This is the reason to offer a redesigned PD-50 player as a transport working with the DSD-S at a more reasonable cost that will be €2'500. The PD-50/S-based transport has the same digital processing heart as the DTR-M. This is built around a Xilinx FPGA but with a DSD modulator sending double DSD128 with CD instead of quadruple DSD256. The FPGA also holds our linear-phase 'Magic Digital Filter' for CD resolution. 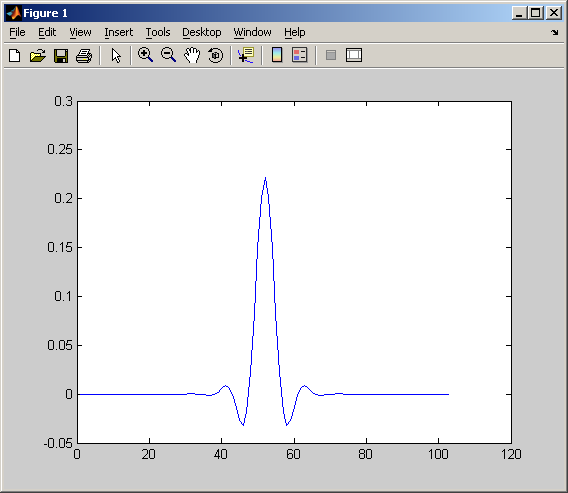 Impulse response is attached. As you can see, there is no pre or post ringing." ** With these converters, Alex doesn't hear any sonic degradation up to -18dB below full output. To build in headroom, he thus opted to combine maximally 12dB of digital attenuation with three resistive values to create up to 48dB of attenuation which never exceeds 12dB of digital signal manipulation. "With SACD discs, both transports send native DSD64 to the DAC. Since we use a proprietary encryption for DSD from SACD, the transports can only be used with our DSD-S or DSD-M converters [this is done using a DoP protocol with headers unique to APL - Ed.] Another beauty is that both our digital transports can play DSD64 files in the DSF format recorded to DVD-R. Back to the DSD-S, its P-core mains transformer is hand-made and massively oversized. It was evaluated for final sonics against R-core and toroidal equivalents and was preferred by a good margin. There are no mechanical switches or connectors for the power lines, digital and analog signal paths. All cables are solid core, OFC for signal."